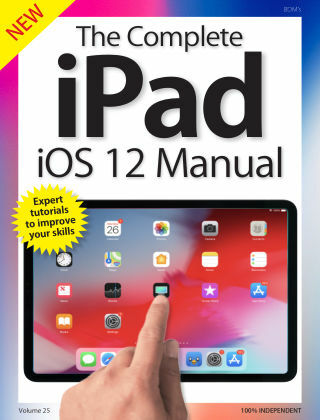 With Readly you can read iOS 12 on iPad Complete Manual and thousands of other magazines on your tablet and smartphone. Get access to all with just one subscription. New releases and back issues – all included. Discover easy-to-follow guides for your iPad and iOS. Nothing ever stays still in the world of tech, and so it proves with the Apple iPad; but if you’re getting confused by the new features added with the new iOS update, worry no more. The Complete iPad Manual is here for all your Apple tablet computing needs. We show you how to upgrade to the new operating system, and what it can do for your iPad. 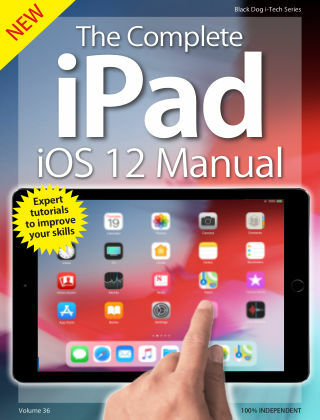 Its great new features are covered in our in-depth, step-by-step guides, which are written in plain English so you can follow along whatever your level of iPad experience. 100% unofficial.